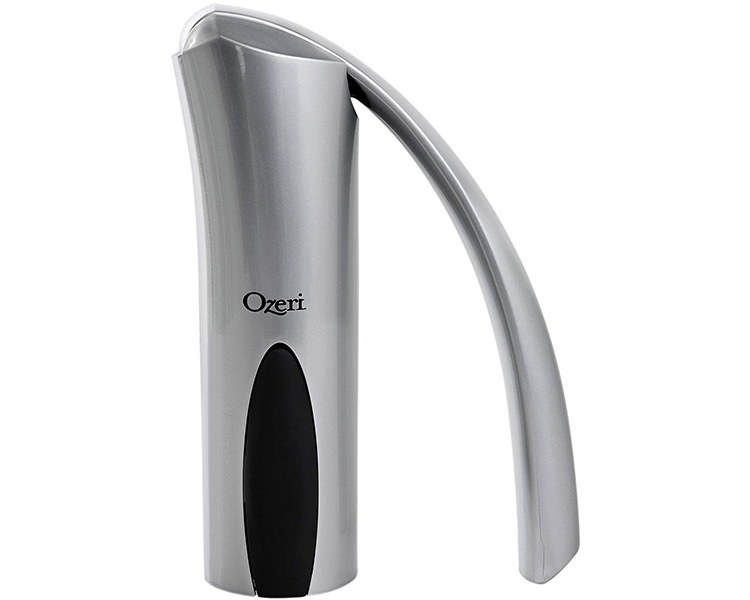 Designed to offer a lifetime of usage at home and in demanding restaurants, the Ozeri Regalia offers an instant wine opening experience with admirable ease. Utilizes an innovative lever system that translates the smallest effort into a multiplication of force. An undemanding nudge downwards and then upwards on the handle penetrates and removes all cork types. Boasts an ergonomic grip, a maintenance-free design and an elongated handle for easy-operation. Includes an extra corkscrew and a compact foil cutter for a complete wine opening kit. 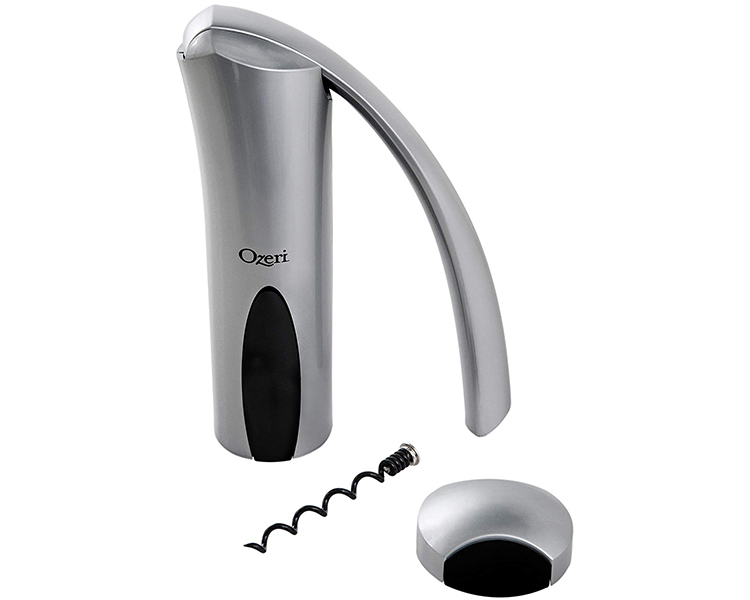 The Ozeri Regalia Corkscrew Wine Opener was designed to offer an instant wine opening experience with admirable ease. Using a newly enhanced mechanical lever-style system, the new and innovative Regalia only requires an undemanding nudge downwards on the handle to penetrate all types or corks. With the Regalia' s innovative lever system and all-metal gears, the smallest effort translates into a multiplication force. Lifting up the handle to extract the cork takes no more than a second in upwards motion, without any straining common to traditional corkscrews. Then with Regalia held in one hand, the simple act of repeating the light downward and upward push releases the cork. With its elegant design, the Regalia impresses guests both in style and function. Capable at home and in restaurants, the Regalia is made to offer a lifetime of usage without fail. Should the built-in corkscrew lose its sharpness over many years of usage, an extra corkscrew is included. The Ozeri Regalia also includes compact foil cutter to make for a complete wine opening kit. 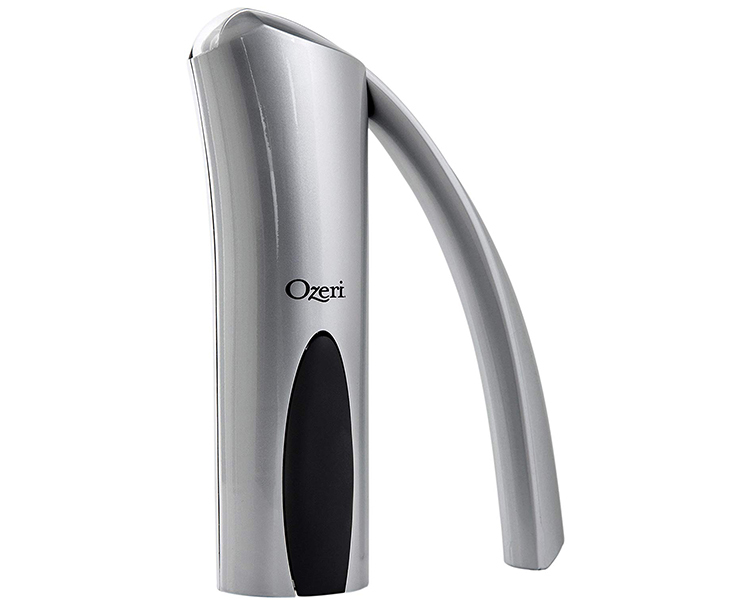 The Ozeri Regalia opens all cork types, both natural and the most modern synthetic corks. 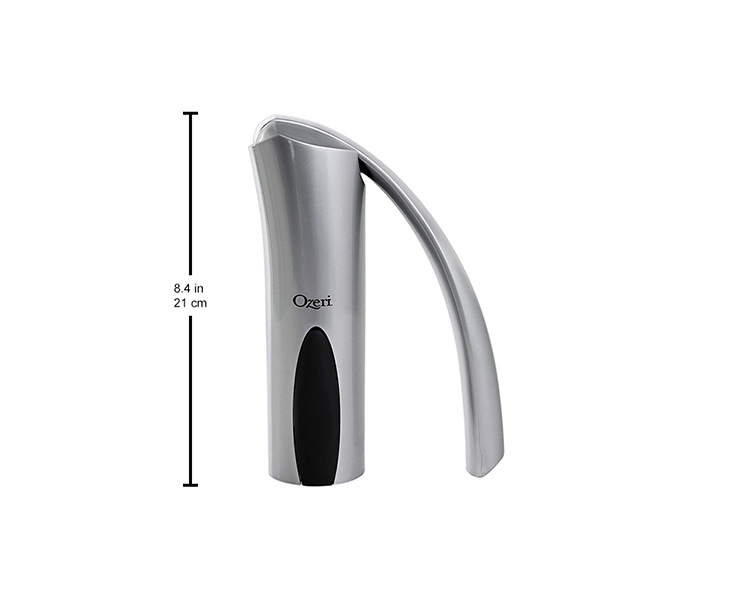 It boasts an ergonomic grip, a maintenance-free design and an elongated handle for easy-operation. Use it at home or take it with you to impress your hosts and guests before the first sip.